Professor Lee Sigelman, Columbian College Distinguished Professor of Political Science and former department chair, died of cancer December 21, 2009. During his tenure at GW he was recognized with two of the University's highest awards for scholarship in 1999 and for service in 2008. The American Political Science Association granted him the Frank J. Goodnow Distinguished Service Award in 2007 and the National Capital Area Political Science Association gave him its Walter Beach Pi Sigma Alpha Award in 2008. He was a former editor of both the American Political Science Review and American Politics Quarterly. Before arriving at GW, he was Dean of Social and Behavioral Sciences at the University of Arizona and Chair of the Political Science Department at the University of Kentucky. From 1985 to 1987, he served as director of the political science program at the National Science Foundation. Under Lee's guidance the Political Science department became a nationally ranked department and a GW center for excellence. His teaching and research centered on public opinion, mass communication, and electoral behavior, but extended in several directions, including American national government, research methods, comparative political analysis, and popular culture. 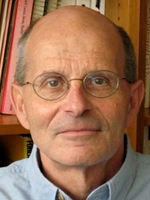 His books include Attack Politics (University Press of Kansas, 2008), Race and Place (Cambridge University Press, 2001), Black Americans' Views of Racial Inequality (Cambridge University Press, 1991), Nominating the President (University of Tennessee Press, 1991), Political Mythology and Popular Fiction (Greenwood Press, 1988), and he contributed scores of articles to such journals as the American Political Science Review, American Journal of Political Science, and Journal of Politics. Lee's passing comes almost two and a half years after he was diagnosed with colon cancer. During that time, Lee published a book, edited another one (forthcoming), published a dozen articles, helped to start one of the most successful academic blogs in the country, directed GW's honors program, chaired two different university professor searches and the department's chair selection committee, served as a member of the department's Appointment, Promotion, and Tenure committee and American politics search committee, took the lead coordinating numerous academic program reviews throughout the college, and regularly ate a large cookie in the department's lunch room. Within the past week, Lee had two articles accepted. Just Monday, Lee received news of one of these acceptances and saw a pre-release copy of his forthcoming book The Wit and Humor of Political Science. To his colleagues within the department and well beyond, Lee was the perfect colleague and role model. Lee left us all a generous gift: a department that values high standards and pursues a vision of excellence, disciplinary pluralism, collegiality, decision-making based upon open debate and analytical reasoning, transparency, mutual respect, and a sense of humor. Few people have touched as many other people in such a positive way as Lee. He was an institution builder, scholar, mentor, and friend. His wisdom will live on within us and will shape our department in the years ahead. The Sigelman Fund for Political Science has been established in Lee's memory. These funds will be utilized to assist junior faculty with their research - a passion of Lee. Gifts should be made out to George Washington University and sent to: The Sigelman Fund for Political Science, George Washington University, Department of Political Science, Monroe 440, 2115 G Street, N.W., Washington, DC 20052.